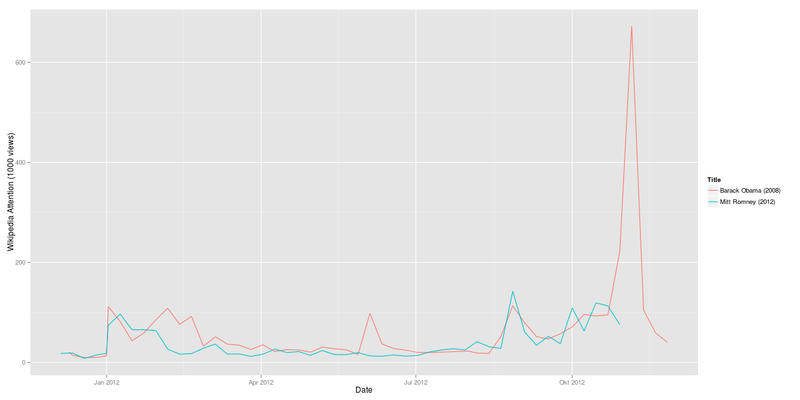 2012 there is no pre-ballot gap as there has been four years ago. 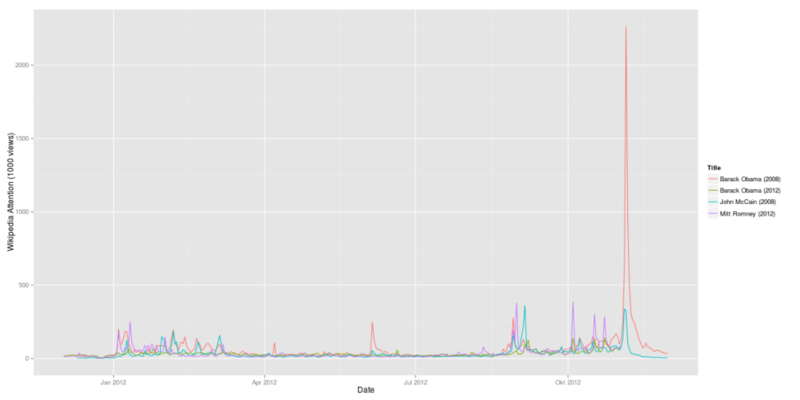 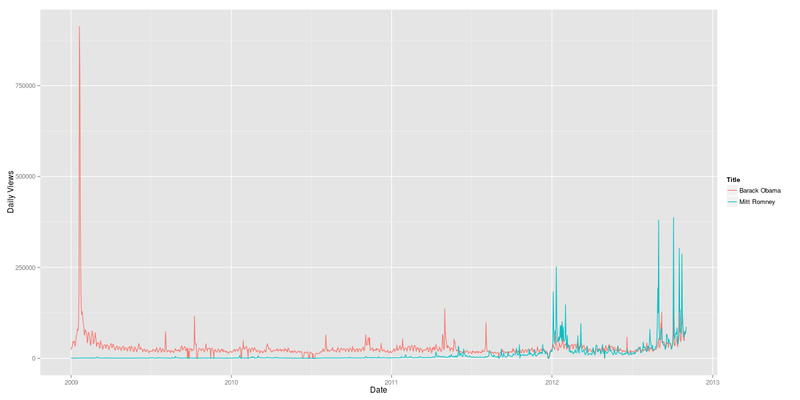 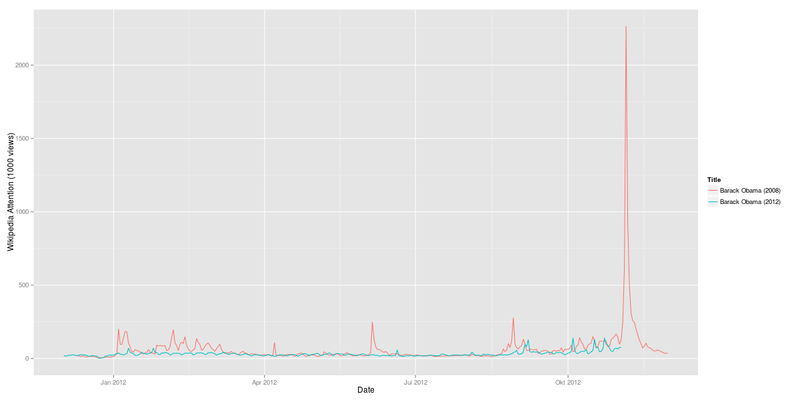 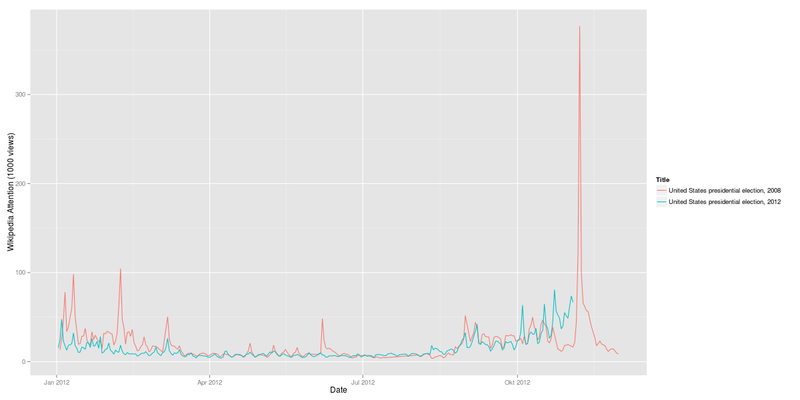 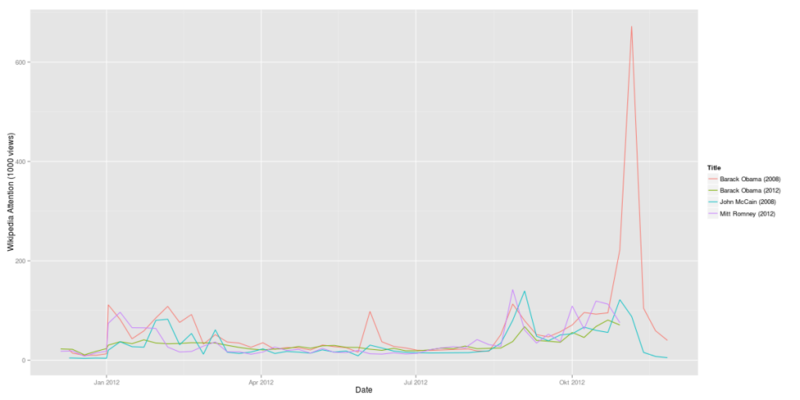 While the attention for the election pages in 2012 did not reach the level it had during the 2008 primaries, from mid October the 2012 campaigns were much more interesting according to the Wikipedia numbers. 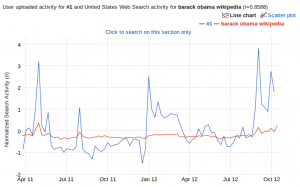 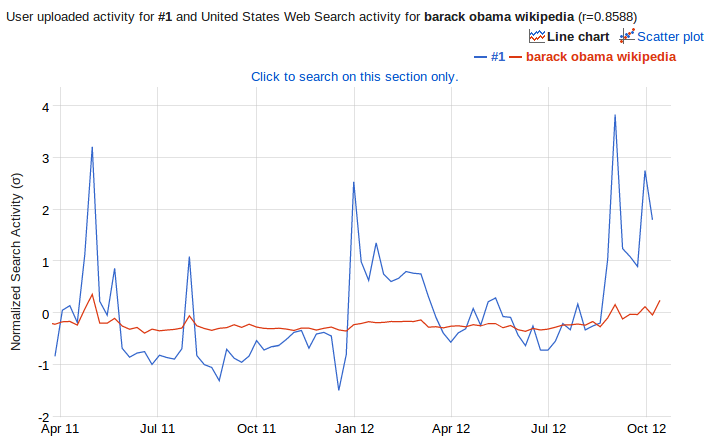 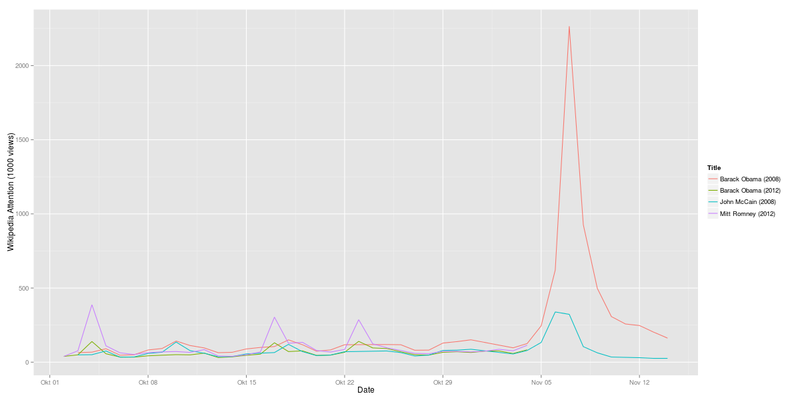 In 2008 we have seen a drop in attention before election day, in 2012 the suspense seems to build up.